What's better than getting a free beer? 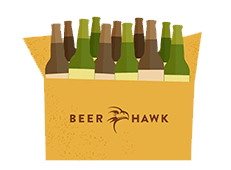 OK, maybe two free beers, but by collecting Beer Hawk Beer Tokens you can earn free beer and discounts off anything in our beer store. Best of all, it’s completely FREE! Every time you log in and buy, we’ll credit your account with Beer Tokens which can then be used on any future orders. You earn 1 Beer Token for every £1 spend, so you’ll be able to claim that free beer in no time! Make sure you are logged in to your account when shopping to be eligible for Beer Tokens. If you’ve been impressed by our service (and we really hope you have!) then please do recommend us to your friends. You can send your friends an exclusive 10% discount that they can redeem on their first order with us. After they make a purchase, we’ll give you a whopping 100 Beer Tokens as a thank you! Want to know how to refer a friend? Please click here for more information. We think customer reviews are extremely helpful for other beer lovers to hunt out brilliant beer. You may well have read some customer reviews before your first purchase, and so please do return the favour by writing your own review. We know it takes a bit of effort, but it will only take a few short minutes, and to say thank you we’ll credit your account with 5 Beer Tokens for each review that is published on our website. SPENDING YOUR BEER TOKENS IS EASY! Simply log in to your account to view how many Beer Tokens you have earned, and to see what opportunities you have to boost your Beer Token stash. To redeem your Beer Tokens, simple apply your balance to your next purchase whilst viewing your shopping cart. Do my Beer Tokens expire? Simply put, yes. But they are valid for 6 months from the point you earn them, and we’ll send you a reminder to let you know if they are about to expire. What are Beer Tokens worth? 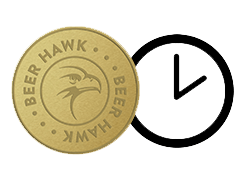 For the full terms and conditions of the Beer Hawk Beer Tokens, please click here.